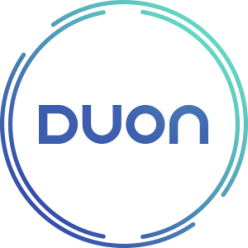 Duon Consulting offers intellectual property strategy and searching services, helping to grow your business with an IP focus. We don’t offer traditional patent attorney services, but help you understand what you want to do, and why, before engaging a patent attorney. This allows any IP protection (rights) granted to be part of an integrated growth strategy, rather than a (very costly) uninformed gamble. Julie is a former patent attorney who has worked in intellectual property since 2005. During her work as a patent attorney she increasingly became frustrated with the limited time and information with which businesses approach intellectual property lawyers and patent attorneys. She saw a need to bridge the knowledge gap between patent attorneys (who are focussed on obtaining patents) and businesses who want to know what is best for the commercial opportunities. Her experience in being both the client and the patent attorney help her uniquely understand the need to strategically use intellectual property to maximise the value for new products and research, whether for research institutes, start ups, new high tech ventures, or maximising use of IP in existing businesses. Email Julie or visit LinkedIn. Julie is quick to understand the needs of our clients and to pinpoint the areas of opportunity. Her approach around IP strategy is very sound and gets results. She is very approachable and a good communicator. I would recommend Julie to anyone who is looking into assessing their intellectual property for value and commercialisation. Julie has provided excellent IP support for our business throughout our commercialisation process. She has been fundamental in the development of our IP strategy and patents. Julie has given sound advice and connected us with relevant professionals to achieve positive results.